© 2017 GKIDS. All Rights Reserved. 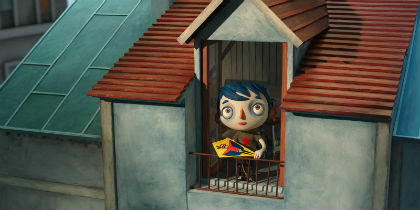 The first season of the French Touch Screening Series is coming to a close with a screening of Claude Barras and Michael Sinterniklaas’ Ma vie de Courgette. The story of a young boy who begins to find himself when he’s sent to a foster home after the death of his mother, Ma vie de Courgette is both a funny and poignant tale of a boy discovering that there is life after tragedy. Winner of both the Feature and Audience awards at Annecy and nominated for every major award including the Golden Camera at Cannes, the BAFTA, Golden Globes and Oscars, Ma vie de Courgette is one of the most celebrated animated movies of 2017. Tickets to the screening are free, but booking ahead is recommended. Seats are not guaranteed and will be allotted to ticket-holders on a first-come, first-served basis. Reserve your ticket at the Vancity Theatre website. You may already follow the SPARK CG Facebook page which is a great way to stay up to date on upcoming events and stories of interest to the local community, but we want to see what you’re working on and what interests YOU! Share your projects, ask for help, share stories that interest you or just interact with other local members by joining the SPARK CG Society Group! 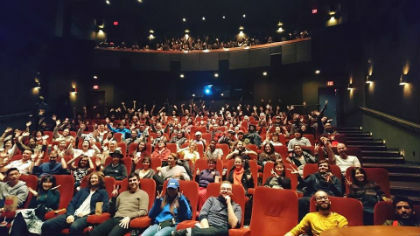 YVRFF, Vancouver VR Film Festival, is Western Canada's premier immersive event. 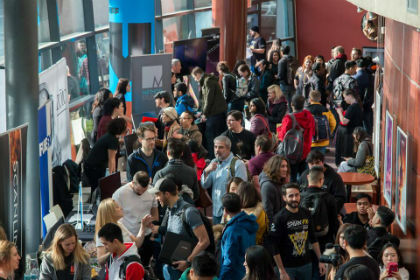 The Vancouver, BC based festival provides audiences with the opportunity to experience the evolution of immersive storytelling by curating submissions from across the globe, bringing a rich balance of independent and larger studio produced content. 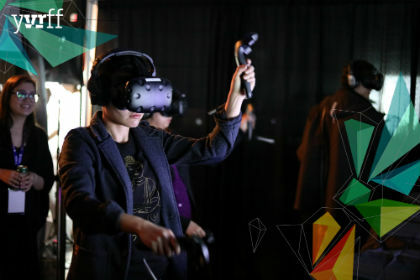 Titles include CocoVR, Blade Runner 2049: Memory Lab which is a single player adventure from the world of Blade Runner 2049, a modern fairy tale from Spain called Ray, Peroration 6 VR which is an immersive music experience featuring Sam Shepherd and his Floating Points band, as well as Tune in for Murder, a Canadian murder mystery where you’re the victim of a murder. A complete list of titles is available on the YVRFF website. This year’s festival is taking place May 18 to 20 at CBC Studios (700 Hamilton, Vancouver, BC). YVRFF is pleased to offer SPARK subscribers a 20% discount! Simply enter SPARKVR18 at checkout to take advantage of the savings! Tickets and more information about the event can be found on their website. Help us celebrate the 10th anniversary of SPARK ANIMATION by partaking in this year’s festival which runs October 25 to 28, 2018! Whether you're an independent filmmaker, a big studio, or a student; whether you’re making commercials, PSAs, music videos, experimental shorts or any other type of animated project, we want to see what you’ve got! Regular submission deadline is August 27, 2018 while the extended deadline is September 10, 2018. For additional submission guidelines, information and to submit your project, visit our FilmFreeway festival page. With hundreds of submissions spanning the world, SPARK ANIMATION is proud of the diversity of projects it receives and programs. The programming team makes every effort to ensure a blend of traditional and CG animation but we need your help! Help us spread SPARK ANIMATION further by sharing the submission page with friends, colleagues and on social media! Don't forget to hashtag your posts #SPARK2018! © 2017 · SPARK CG SOCIETY. All Rights Reserved.